A new vRA / vRO Extensibility course is scheduled to be held in the UK in February 2018. 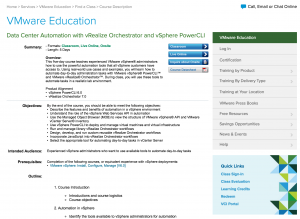 It will provide detailed information on how to leverage the power of vRealize Automation and vRealize Orchestrator. I should point out that it’s a beta course, so it may not be 100% polished and pristine. However, the course is focussed on version 7.3 of both products (the latest at the time of writing) so it will be bang up-to-date and help you learn the “art of the possible”. 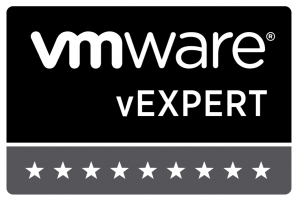 The course runs for a full week from Monday 19th February at VMware’s UK office in Staines. If you’re new to vRA and vRO, or you want to take your automation beyond simple virtual machine deployment then this course will likely benefit you. If you don’t manage to get on it, I’m sure there will be further opportunities throughout the year. 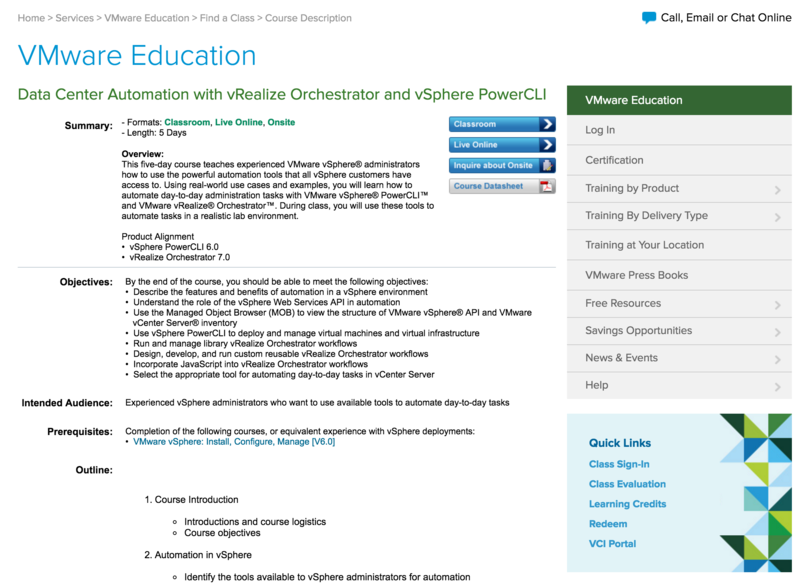 You can register for the course via VMware’s myLearn website.